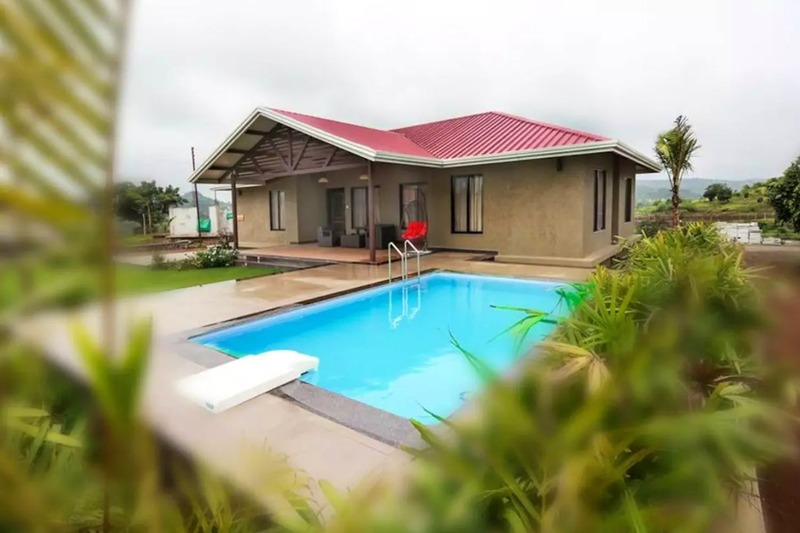 If you’re looking to keep it simple and move afar from the city for some quiet time, then King’s Villa in the small village of Igatpuri is a great option. And when we say quiet, we really mean it because this place, located in the interiors, gets very limited connectivity – a massive plus in our heads because the only way to stay off the screens is when you really don’t have a choice. The villa has four fully furnished, air-conditioned bedrooms, and a kitchen with all the amenities in place.The best part? It has a private pool, a huge lawn to run around in, and many indoor games to keep you engaged. And yes, you can bring in your pets along here. The property also has a small restaurant which is great to get some instant grub, because there isn’t much in the neighbourhood. Also, breakfast and wi-fi are on the house.The entire villa for up to 10 guests is priced around INR 22,000 per night, though the prices are subject to change depending on the season, dates and availability. A long pending reunion? We say put an end to all that back and forth and head to Igatpuri at this villa. Given there are hardly any distractions, quality and an intimate bonding time are guaranteed. Don't forget to switch off from all sorts of technology and enjoy some quiet time.